The above Tweet (Figure 1) shows the first time a word or phrase preceded by a # sign was used in a way that we today describe as a hashtag. 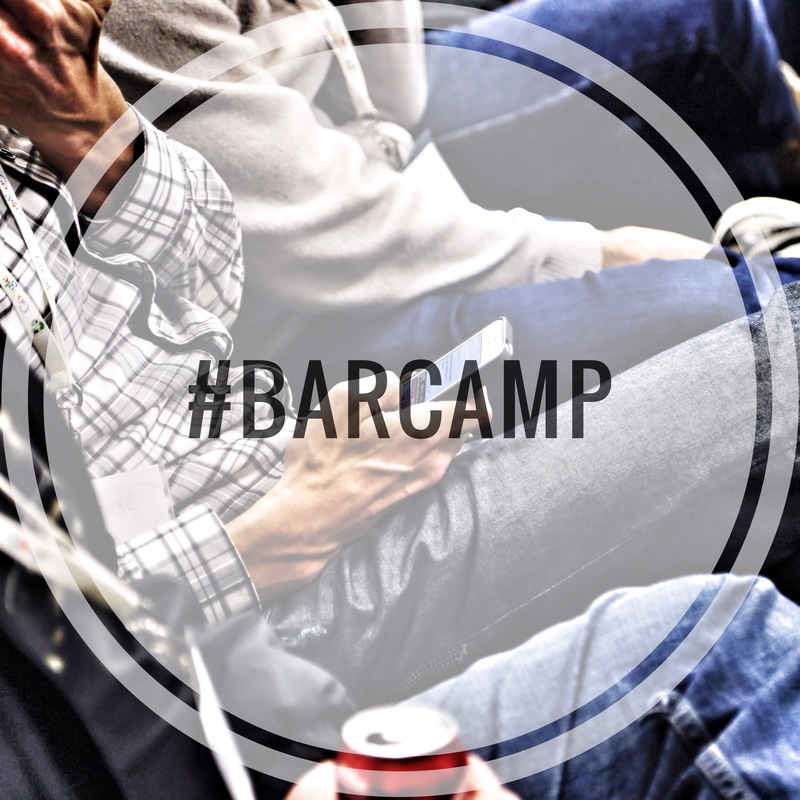 In fact #barcamp was used 5 times (Figure 2) on Twitter (three times by Ross Mayfiels (@Ross) and once by Collin Barrett (@cbarret) and @BarCampBlock), before Chris Messina used in his Tweet on 23 Aug 2007. 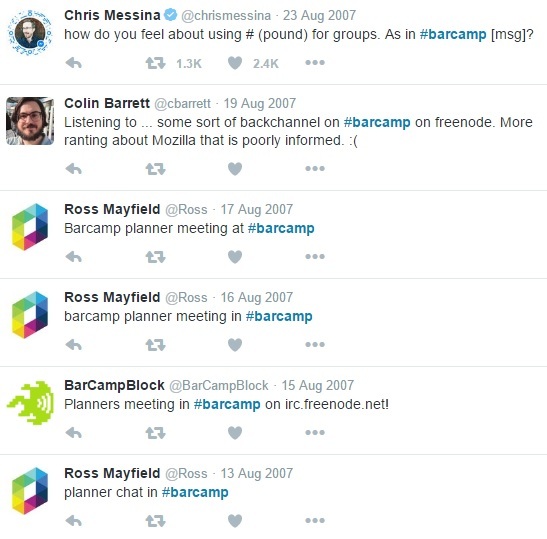 The original historical discussion on Twitter which included #barcamp started on 13 August 2007 with the post by Ross Mayfiels (@Ross). The reason why everyone agrees that it was Chris Messina’s Tweet form 23 August 2007 that is considered to be the first one with a hashtag is because it was the first time a word or phrase preceded by a # sign was used in a way that we today describe as a hashtag. It is quite visible on #barcamp historical discussion page on Twitter. Messina’s above simple explanation of hashtags shows how skilfully he combined the special meaning of IRC channels and tagging techniques used on Flickr or Delicious in order to create one simple tool – a hashtag. His aim was to improve the Twitter experience: hashtags would create ad hoc channels to which groupings of users could pay selective attention. ‘Luckily’ for hashtags, Messina never gave up the idea and it was his online activism during the San Diego bushfires in October 2007 and his promotion of #sandiegofire hashtag to coordinate information about this disaster, that introduced the idea to the wider audience of Twitter. The rest is history. Very quickly hashtags became integrated into the Twitter architecture of the platform (2009) and became internal clickable hyperlinks linking to Twitter search results for a given hashtag – a move which was later followed by Instagram. In 2010 Twitter introduced ‘Trending topics’ based on popular hashtags. In 2012 ‘Hashtag’ was selected as the Word of the Year by The American Dialect Society. In the meantime a couple called their baby Hashtag and hashtags were introduced on Facebook and many more social platforms.